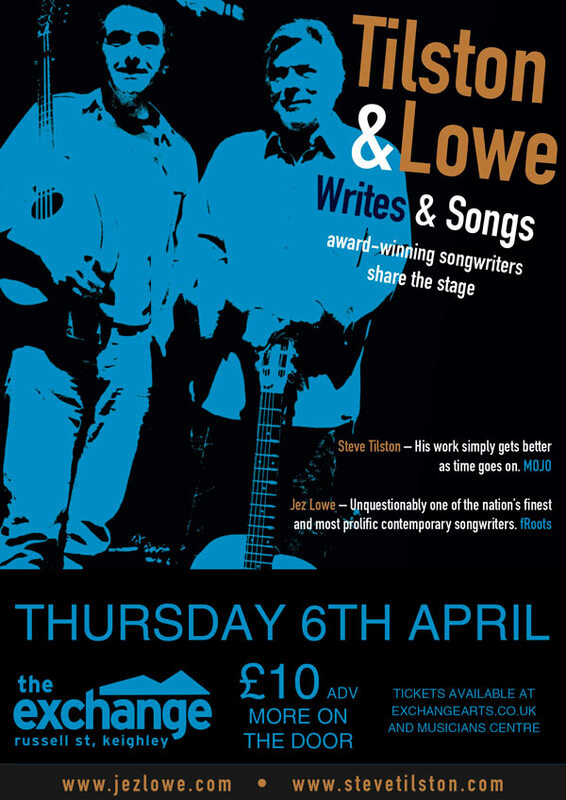 Steve Tilston and Jez Lowe are two of the UKs finest singers, songwriters and guitarists. They have performed together successfully on previous occasions but this is the first time they have written songs together, a radical change for two such singular artists. All physical tickets SOLD OUT.